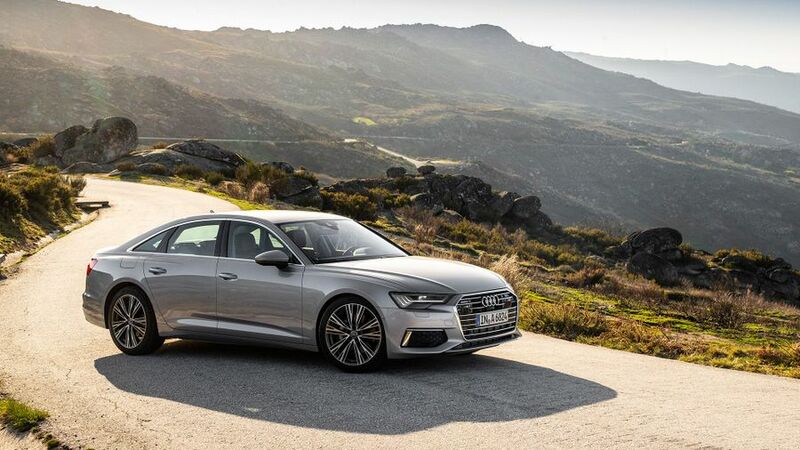 The Audi A6 is a real contender in the fiercely fought executive saloon market. It shows its rivals the way for quality and technology, and it’s as good as anything else in the class for practicality, desirability and running costs. The sophisticated driving manners will also appeal to buyers, but the A6’s real USP is the innovative technology it carries on board. Few cars at any price feel as technologically advanced as this. Interested in buying an Audi A6 Saloon? 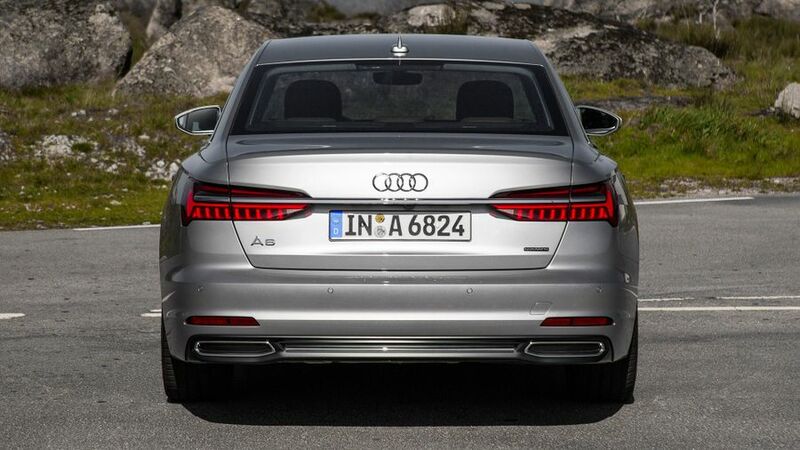 There’s plenty of similarity between the A6’s design and that of the bigger, more expensive A8 luxury limousine, and that immediately gives the car a sense of exclusivity. 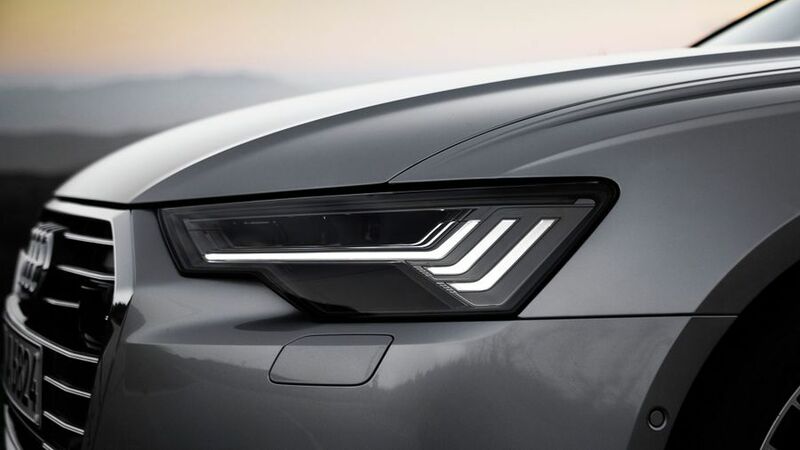 Meanwhile, the intricate design of the full LED headlamps and tail lamps give an impression of the advanced technology contained within the A6. The entry-level Sport model comes with alloy wheels and plenty of chrome trimming, while the sportier S line comes with bigger wheels, redesigned LED lights, scrolling indicators and a sportier body kit. Let’s start where we always tend to start with an Audi, and that’s with quality. This is a manufacturer that really knows a thing or two about making a swanky-feeling cabin, and with the A6, the interior designers really have outdone themselves. Every single surface you encounter is tactile, plush and sophisticated, and even if you go hunting around for a panel or a switch that doesn’t quite match up, you’ll draw a complete blank. For our money, the A6 has the measure of everything else in the class for quality. The sophisticated atmosphere is helped in no small part by the cutting-edge feel you get from the all-digital central console, with a pair of touchscreens that look the absolute business thanks to graphics that are super-sharp and super-slick. The same goes for the digital instruments that sit behind the steering wheel, and the combined effect means that few cars at any price feel this advanced. True, the sheer amount of information and functionality these screens show you is a little daunting at first, but when you start delving into the nuts and bolts of how it works, the operating system is actually pretty intuitive. The driving position has bags of adjustment, helping you to get comfy easily. 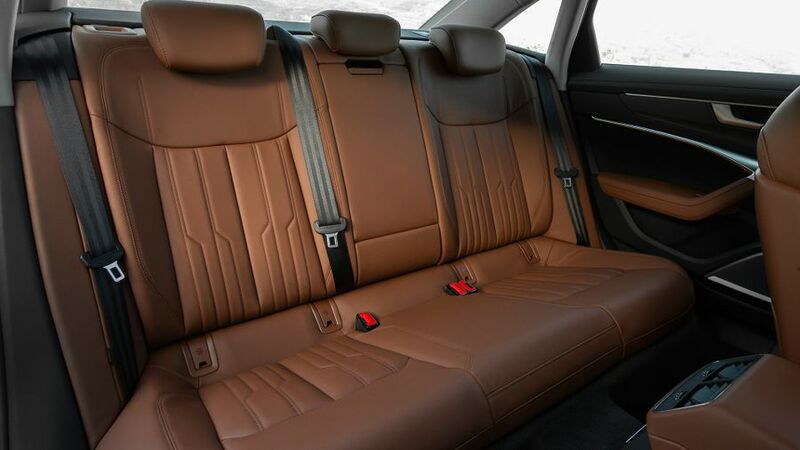 The cabin of an executive saloon needs to have enough space to transport a couple of colleagues comfortably between business meetings, and to cope with family-ferrying duties at the weekend. Thankfully, the A6 has plenty. 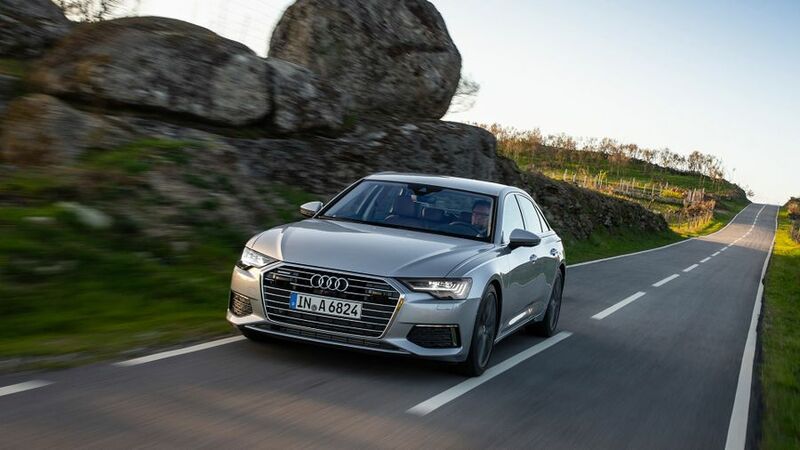 It’s easily a match for anything else in the class on legroom, no matter which seat you wind up sitting in, and while the old A6 was a fraction short on rear headroom, this latest car remedies that issue, with enough room for even your gangliest co-workers. A wide middle seat and plenty of shoulder room means carrying three across the rear bench isn’t out of the question, either, though whoever’s in the middle will have to straddle a bulky transmission tunnel and sit on a seat that’s a little bit harder and higher than those either side. The boot is an identical in size to its predecessor’s at 530 litres, but that’s about the same as you get from pretty much every car in the class. 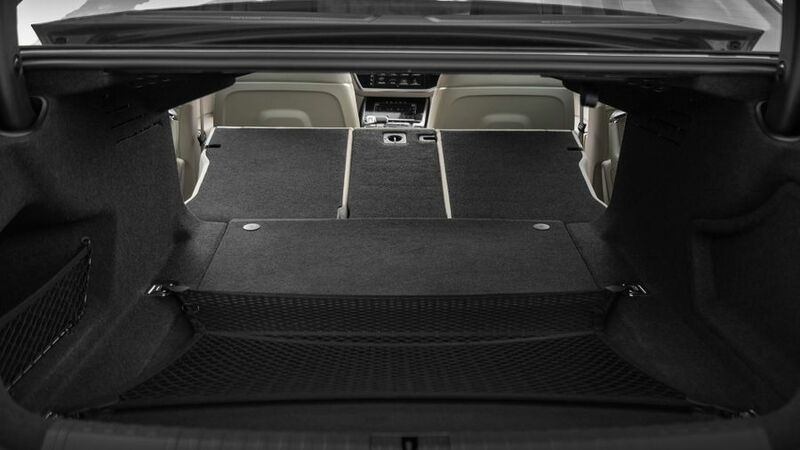 Split-folding rear seats also come as standard, (they don’t always with some of the A6’s rivals) and the extended load bay this gives you is pretty flat. 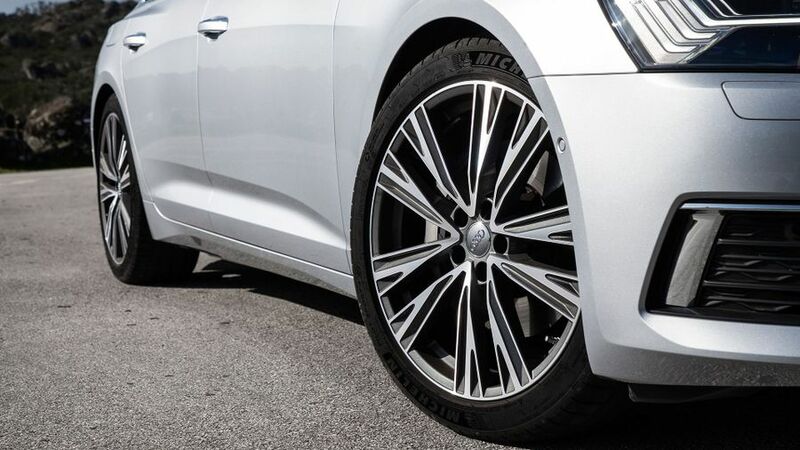 The A6 is available with no less than four different suspension arrangements. Entry-level Sport cars come on regular steel suspension, which is impressively comfortable, isolating you from most of what a scruffy road surfaces can throw at you. The standard four-wheel drive ensures there’s bags of grip and traction through corners, and the steering is nicely weighted and consistent in its responses. The only slight black mark against this setup is that there’s a shade more body roll that some people will like, but for everyone else, it’ll be absolutely fine. The S line has a suspension that’s lowered by 10mm, but we haven’t had the opportunity to try it yet. If you raid the options list, you can have an adaptive setup that varies its behaviour according to the driving mode you select. In truth, you can’t really tell much difference between the sportier modes and the more cosseting ones, but it still enhances both the ride and handling, striking a really nice balance between comfort and control, so it’s definitely worth considering. The options list also contains a more expensive air suspension setup, which gives greater differentiation between the modes. Despite the more complex hardware, we reckon it’s actually not as good as the adaptive setup; it sharpens up the handling to a similar degree, but the ride doesn’t feel quite as plush. At launch, two diesel engines will be available, a 2.0-litre four-cylinder with 204 horsepower and a 3.0-litre V6 with 286 horsepower. The first thing you notice is that both are impressively smooth and quiet, more so than the equivalent engines found in BMW and Merc products, and that’ll be very important to buyers. The smaller engine feels pretty muscular and keen to respond, making it capable of some very serious pace, but unfortunately, the reactions from its twin-clutch automatic gearbox can’t always quite keep up with the engine’s. The V6 works rather better with its automatic gearbox, and it also helps that the V6’s extra muscle is always there on tap ready to go, so the gearbox doesn’t have to downshift quite as often. That said, the V6 will be considerably more expensive to buy and run than the smaller option, and we reckon that’ll be fine for most buyers. We’ve also had a shot in a 3.0-litre V6 petrol that’ll be available shortly after the launch. With 340 horsepower, it’s predictably brisk, both to pull away and when picking up speed on the move, and it sounds fairly lush as well. However, it’ll be very expensive to run in the UK, so it’ll only ever be of niche appeal. This is a very tricky one to call because our drive took place so far in advance of the car arriving in the UK, we don’t yet have a lot of essential information. Like the price, for instance. We also don’t have any efficiency figures for the four-cylinder diesel (which handily is the one most people will buy) or the petrol yet, so we can’t say how much those will cost to run, either. The V6 diesel returns official figures of 50.4mpg and 146g/km, which is a fraction behind the equivalent BMW 5 Series but it has the beating of the equivalent Mercedes E-Class and Jaguar XF. Audi usually does pretty well on resale values, and with the quality and desirability of the latest version, we can’t see that changing. Audi may have a reputation for high quality, but that’s not necessarily borne out by the evidence. In fact, the company sits low down in Warranty Direct’s Reliability Index, and last but one on JD Power's 2017 Vehicle Dependability Study. 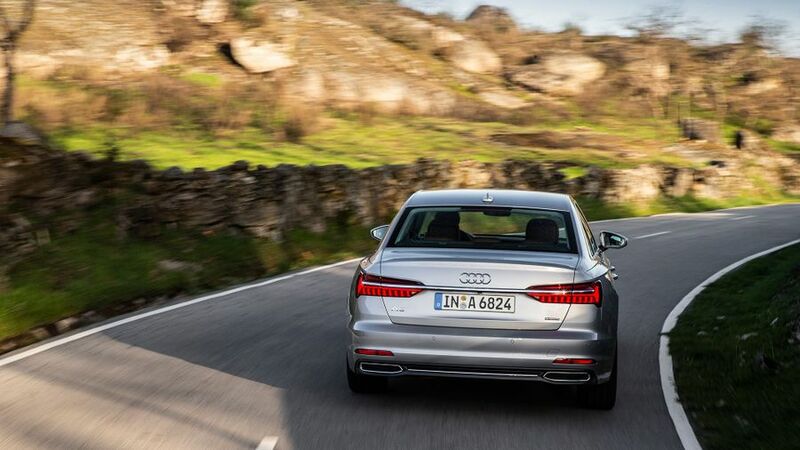 Previous versions of the A6 are well below average for reliability, with repairs being particularly costly. On the other hand, if you scan through the reviews from owners of the most recent A6 on this very website, they report excellent reliability. With the A6 still quite a way off from its UK on-sale date, it’s still far too early for a crash test by safety organisation Euro NCAP to have been carried out. 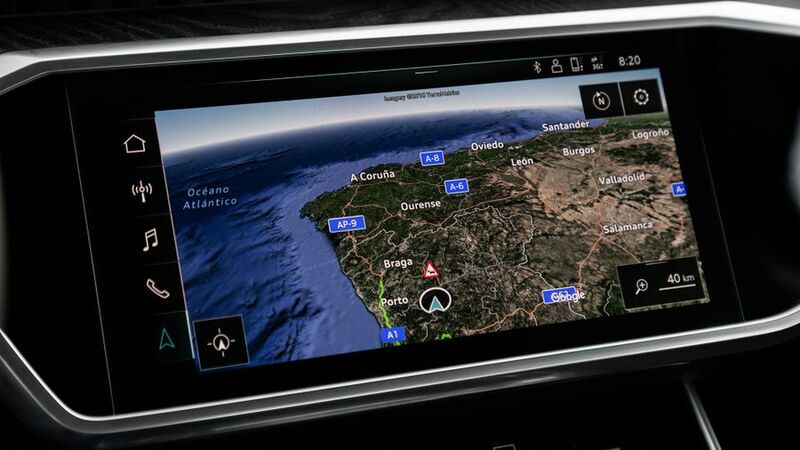 However, we do know that the A6 will come with an impressive amount of safety kit as standard. It’ll include a shedload of airbags, automatic emergency braking, lane departure warning and cruise control with a speed limiter function. The standard four-wheel drive will also give you better on-road security, and the advanced headlights will give you a better view of the road in gloomy conditions. The options list will give you access to even more clever driving aids, like one that’ll steer you back into your lane if you start to wander out of it, and one that’ll park the car for you while you’re not even in it. ambient lighting and an infotainment system that brings together sat-nav, DAB radio, smartphone connectivity, ten speakers and a range of connected services. S line will add racier seats in leather and faux-suede, and a different steering wheel, as well as the revised suspension and aesthetic upgrades already mentioned. 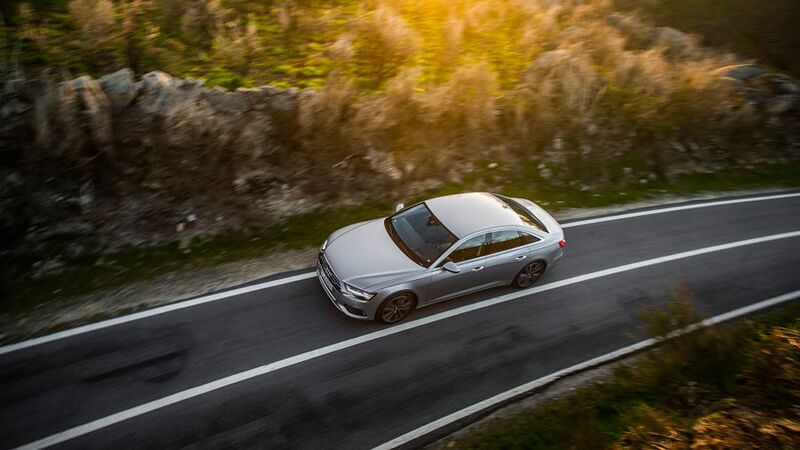 Because already, the A6 is one of the very best executive cars you can buy. It’s good to drive, it’s easily as desirable as anything else in the class and it looks the absolute business inside and out. The cutting-edge technology on show will dazzle you every day, and in all likelihood, it’s that which will attract buyers more than anything else.